Book Report explores sexual assault, the weaponization of language, and the futility of escape. 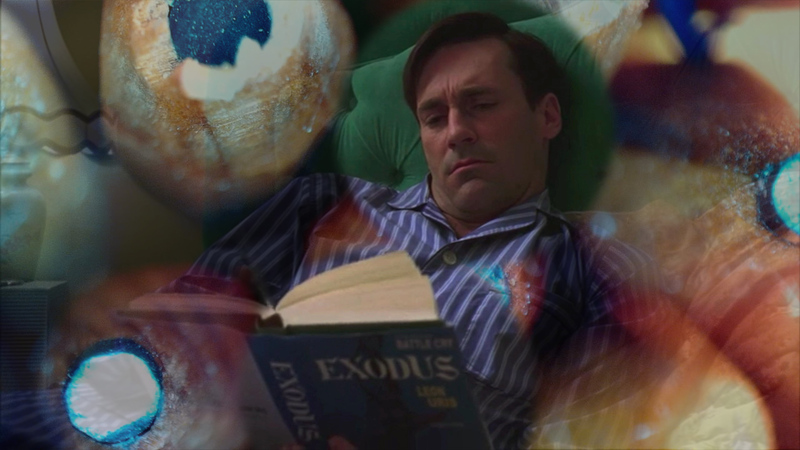 It combines short sequences of Mad Men's Don Draper reading books and relevant facts about the 2016 presidential campaign—including a history of the hashtag #trumpbookreport and notes on a payment to the mysteriously named “Draper Sterling” ad agency. A choral voice-over, drawn from the infamous Access Hollywood transcript, revises the misogynist “locker room talk,” turning it against the original speaker. 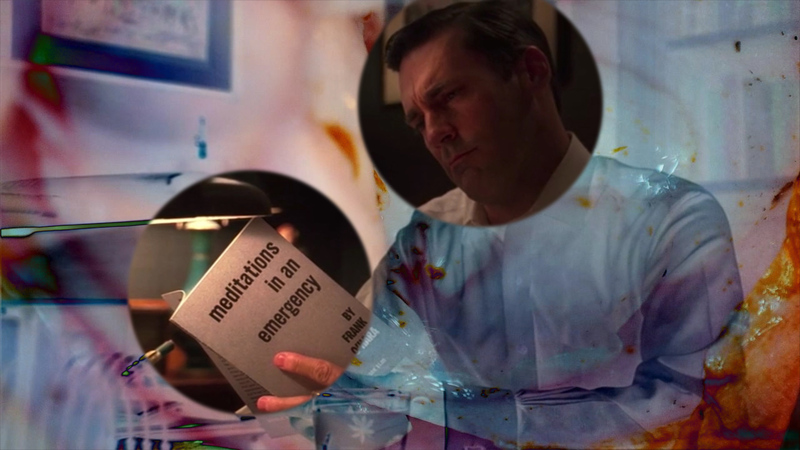 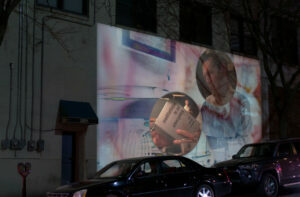 In the Mad Men sequences, Draper’s reading is always interrupted, as though his efforts to be elsewhere are doomed. 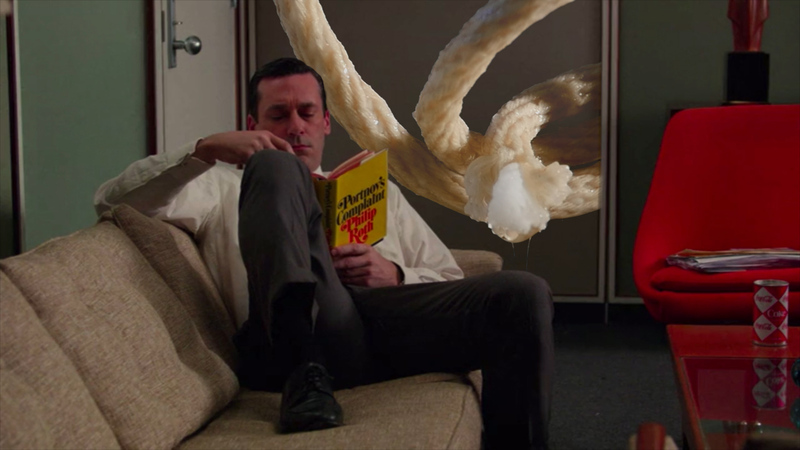 Mysterious, specimen-like images intervene in the scenes of reading, providing both commentary and a vivid index of Draper’s immersion. The text and voiceover create a tense counterpoint: Draper reads and viewers are invited to read over his shoulder, but with little patience for literature, facts, or civility.